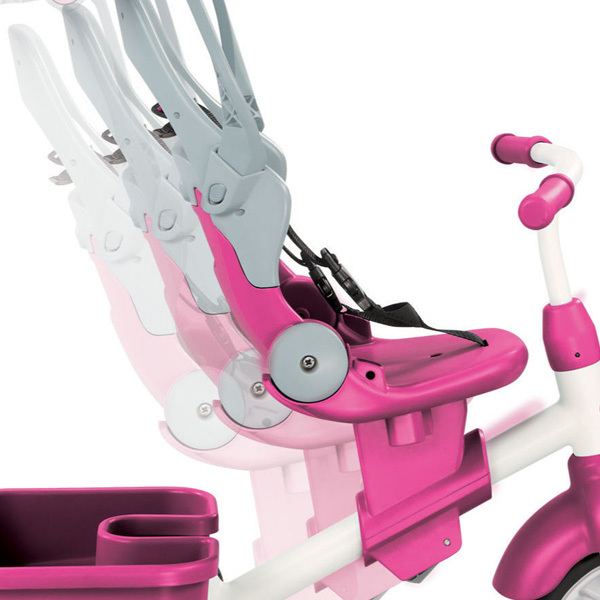 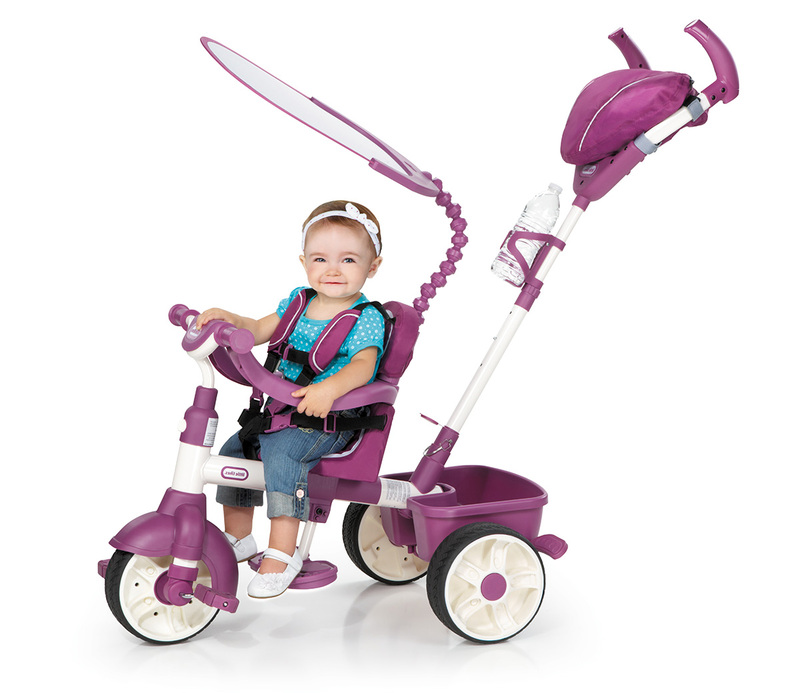 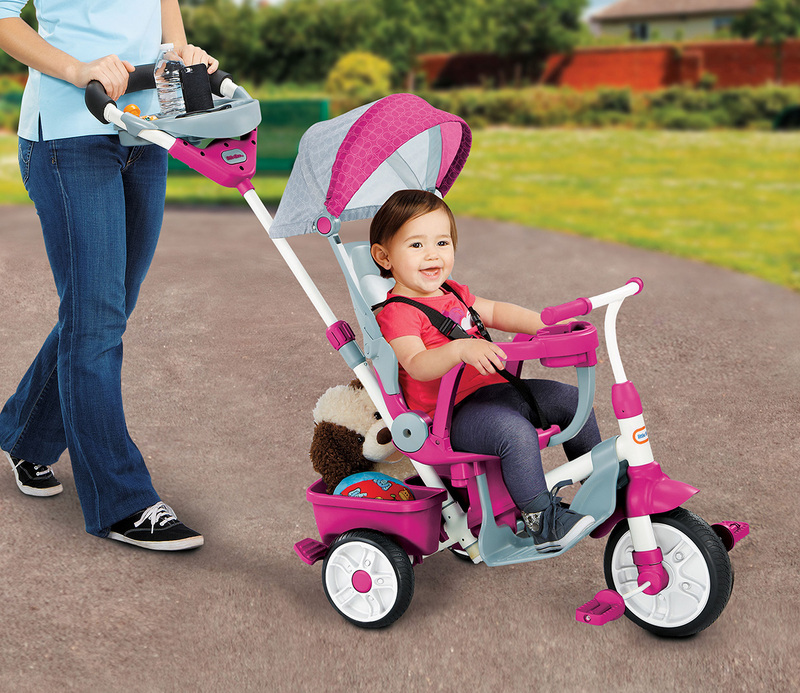 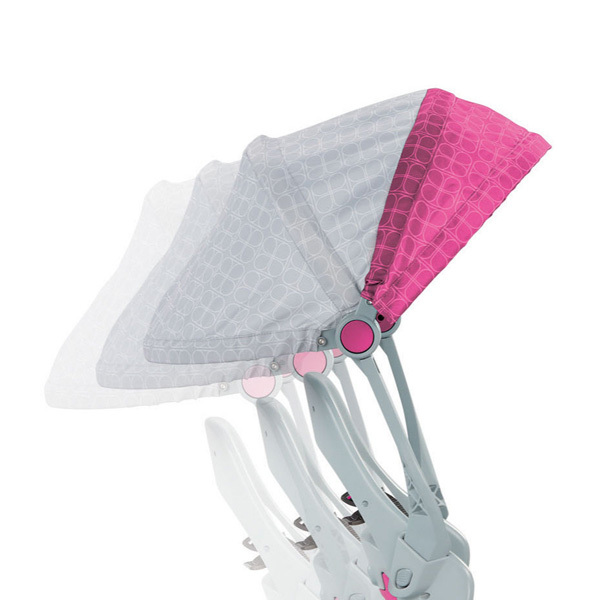 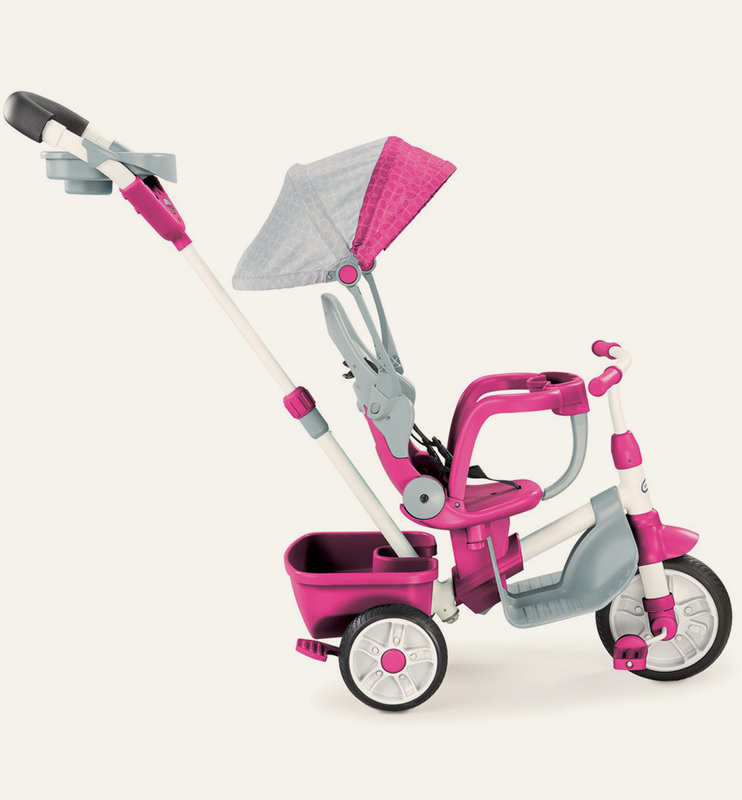 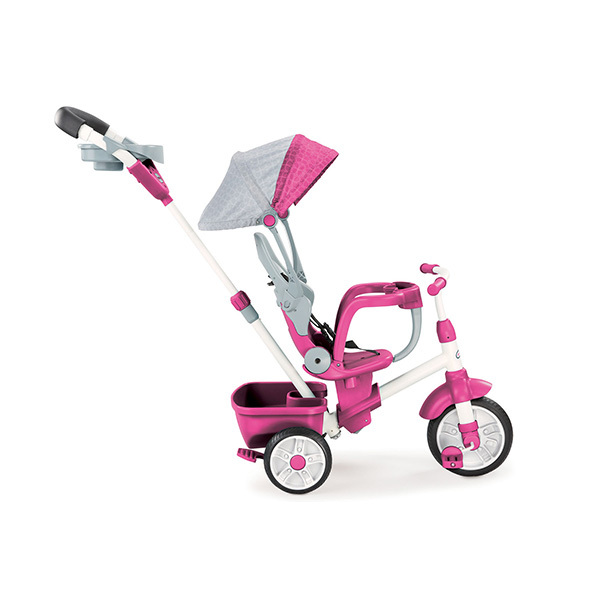 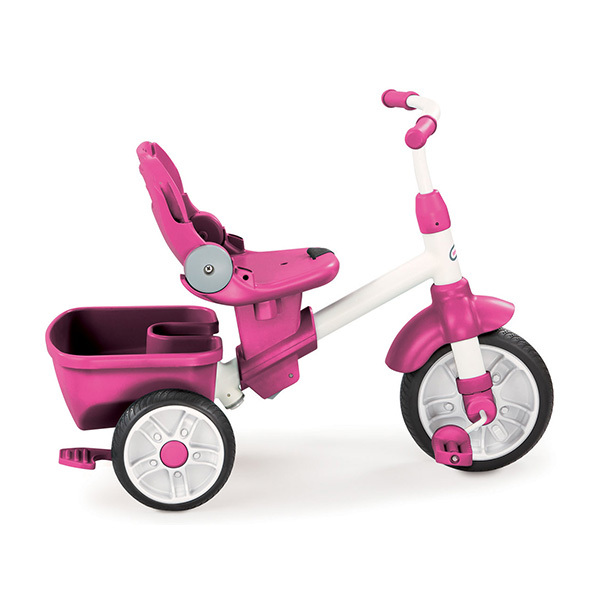 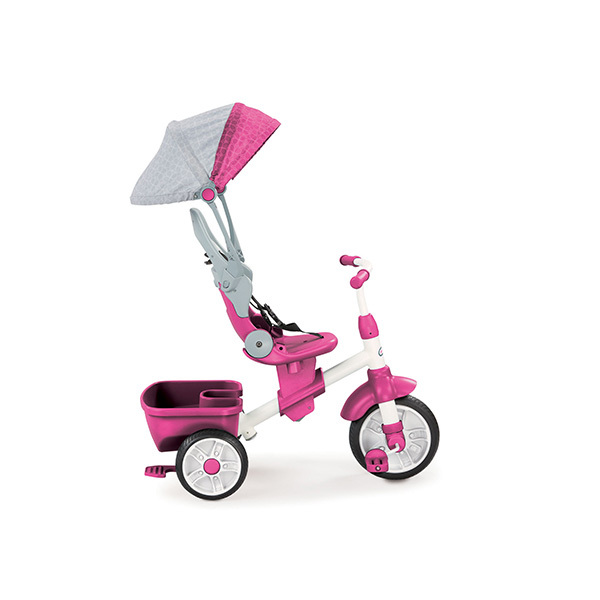 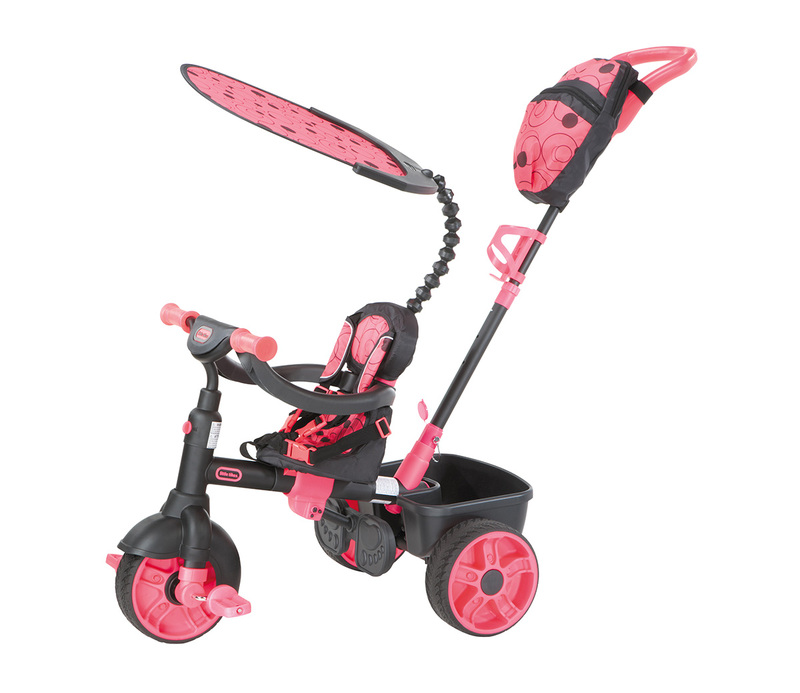 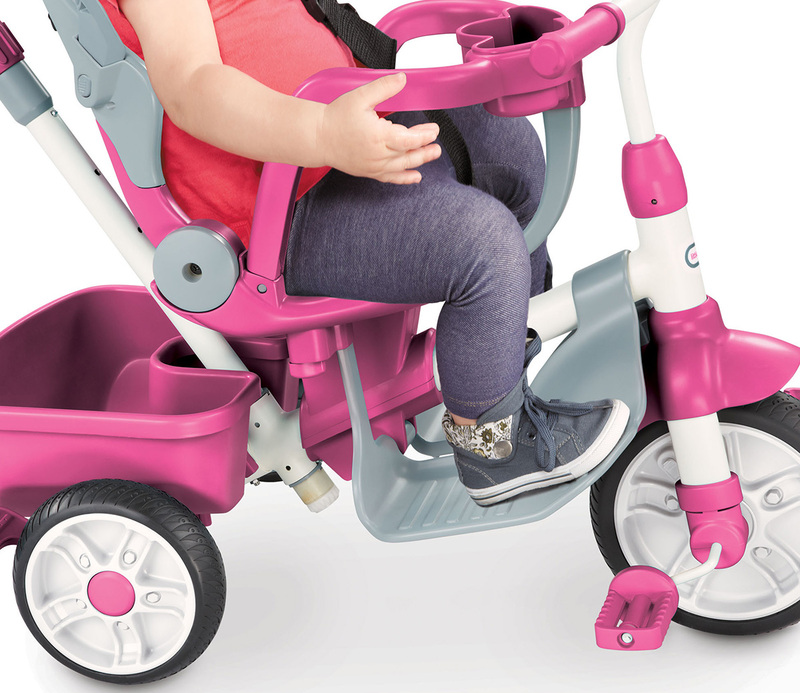 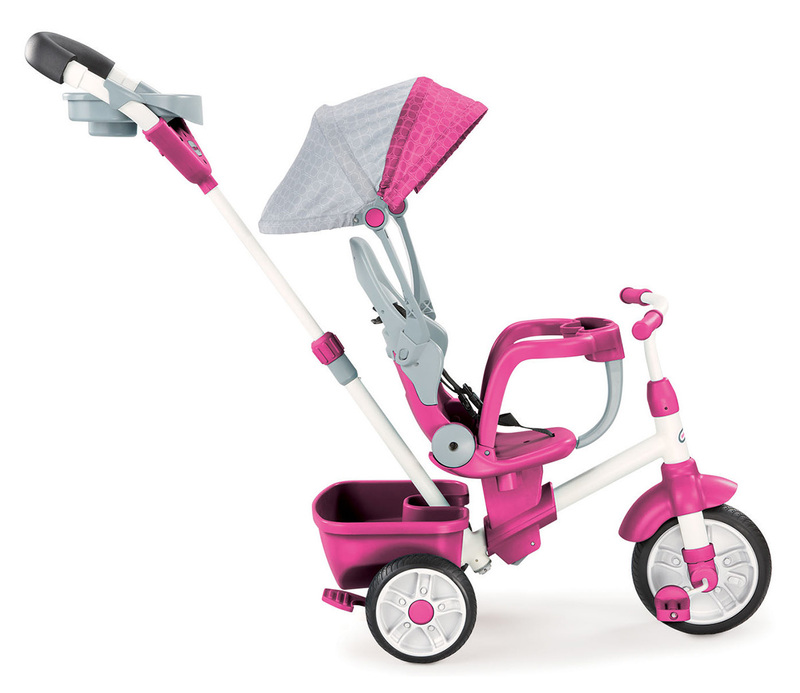 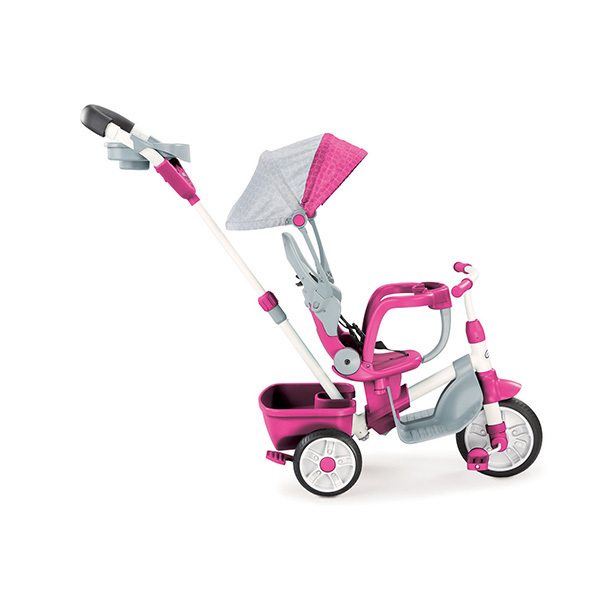 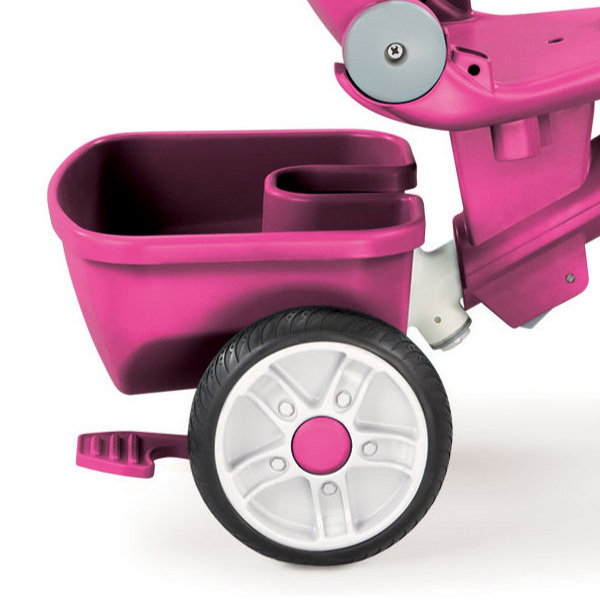 The Perfect Fit 4-in-1 Trike in pink grows with your child. 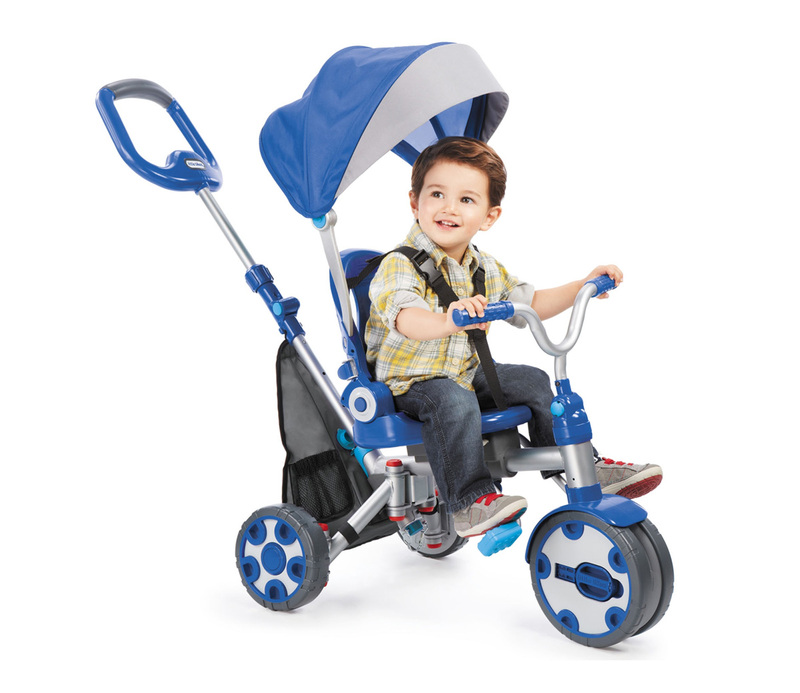 First, the parent pushes and steers; then, as the child grows, the parent steers while the child pedals. 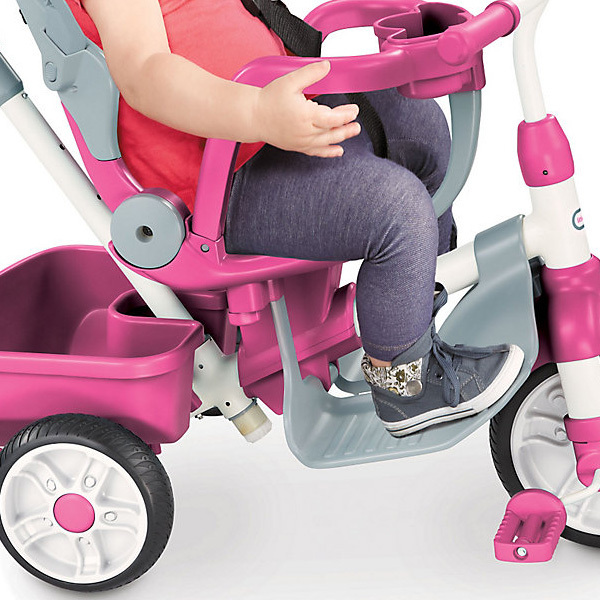 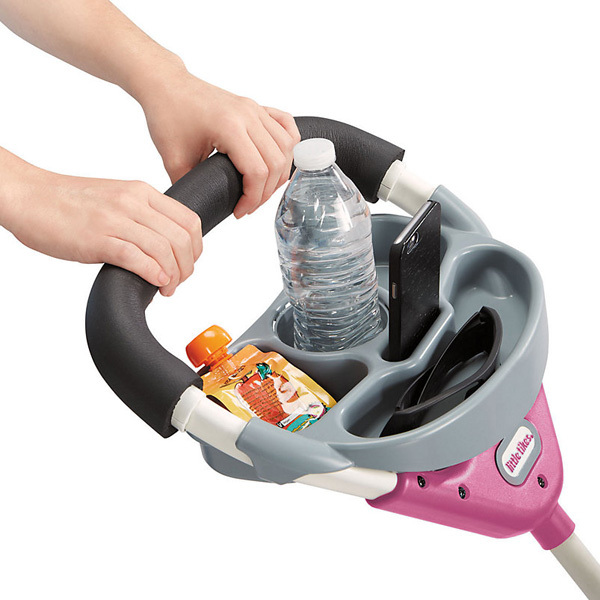 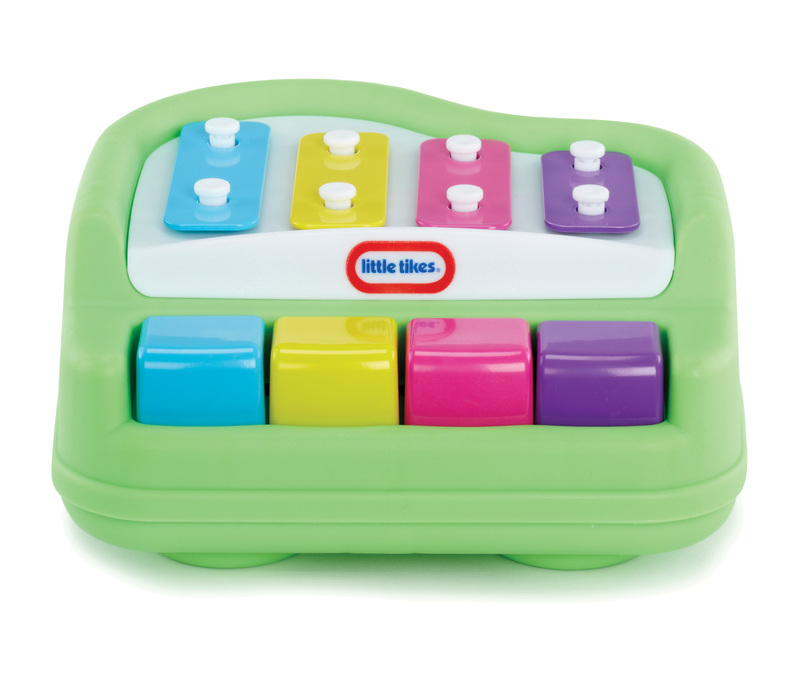 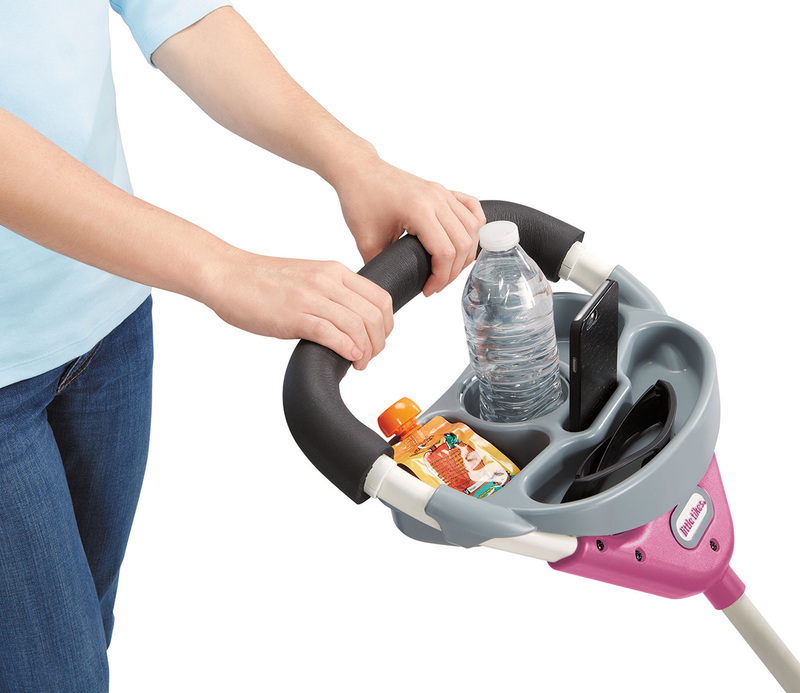 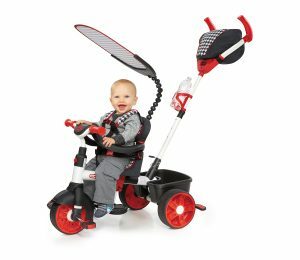 Once your little one has mastered pedalling, you can remove the waist bar and now they can steer. 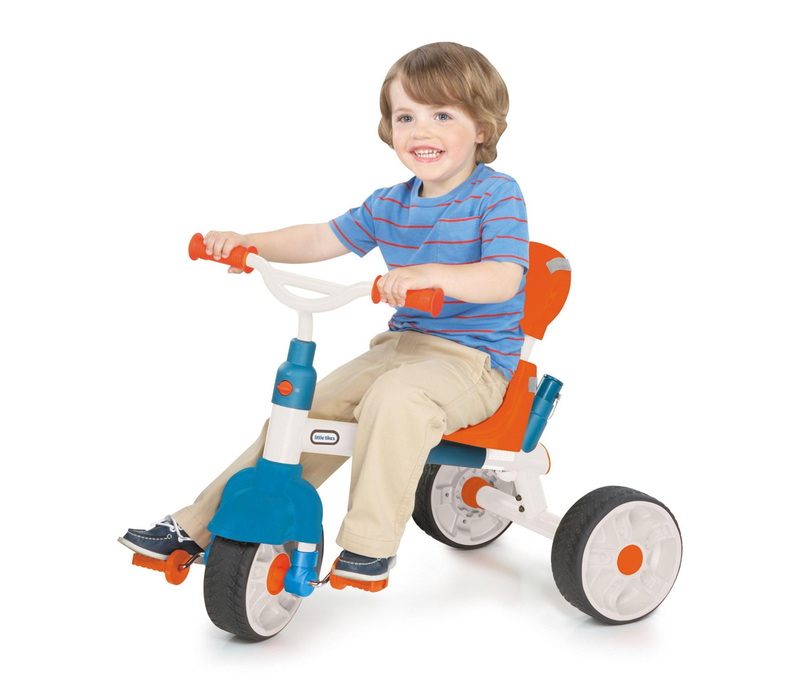 The last stage is when the child pedals and steers all by themselves. 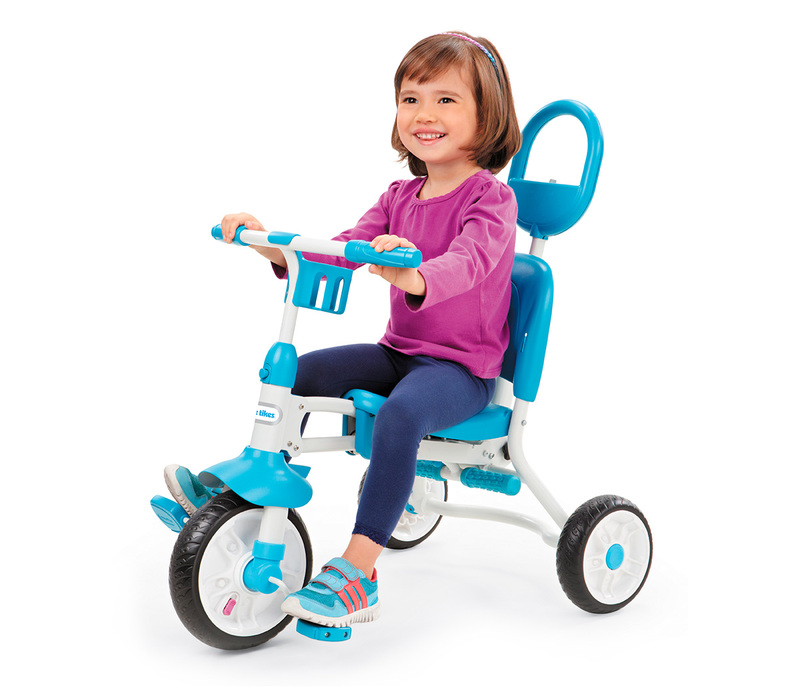 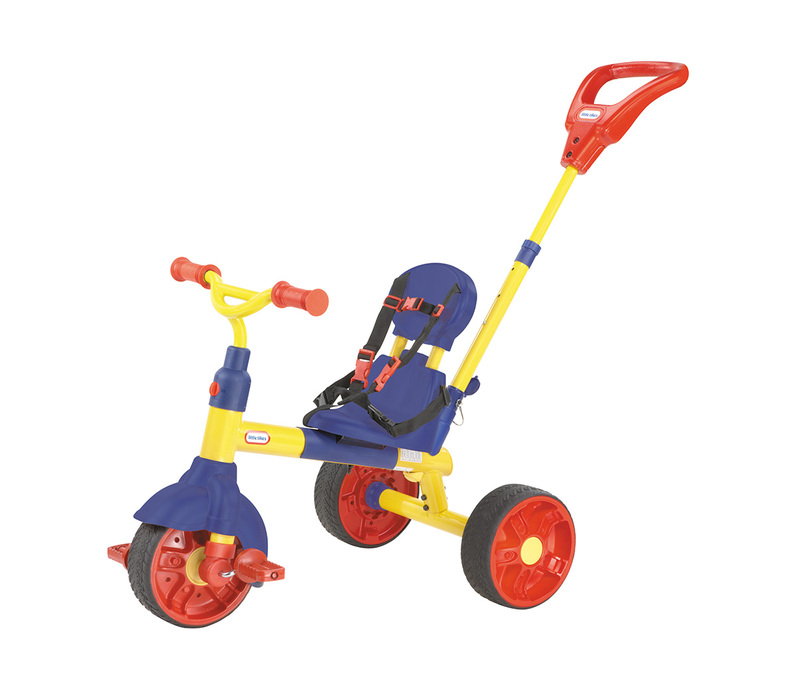 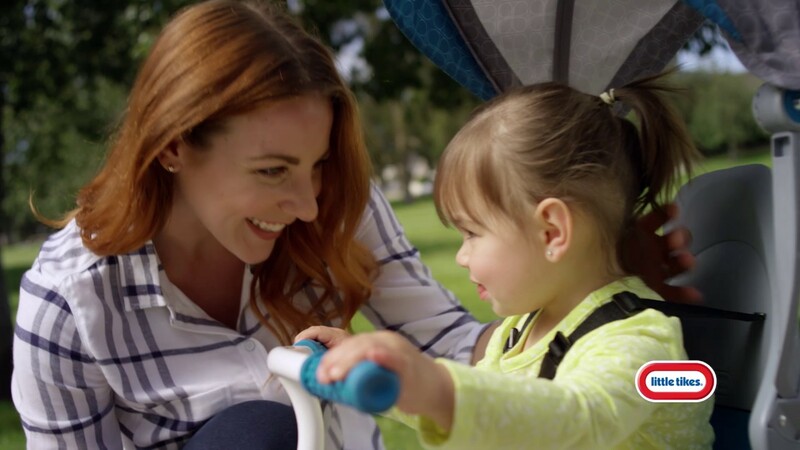 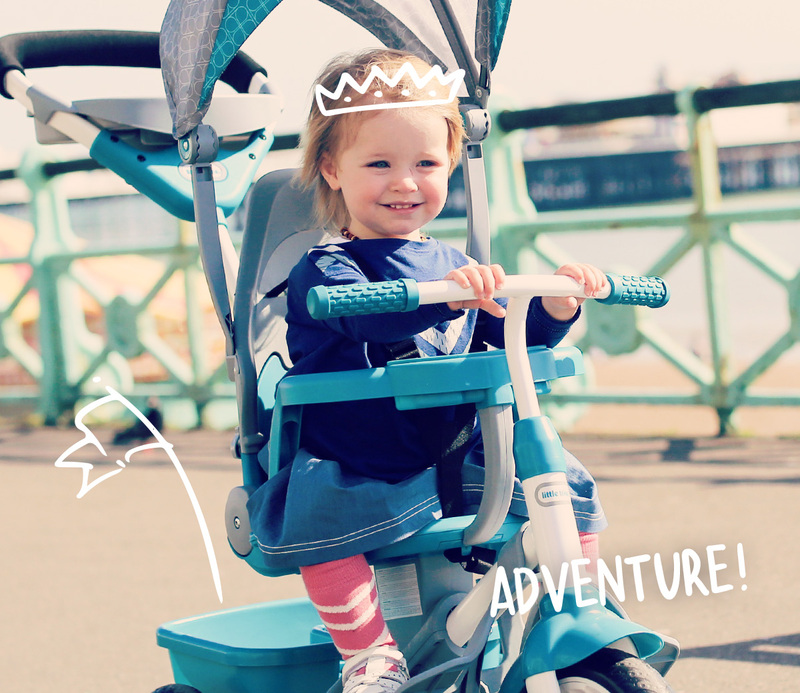 Watch our Perfect Fit 4-in-1 Trike Demo Video!